The PATH rail system runs from New Jersey to the heart of Manhattan. 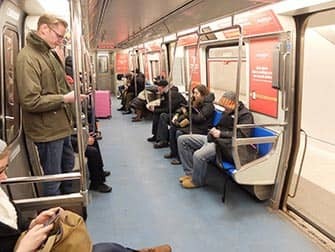 When travelling from New Jersey to Manhattan or back you can take the PATH for an efficient and comfortable ride. There are two PATH routes, with several stops in New York and New Jersey. 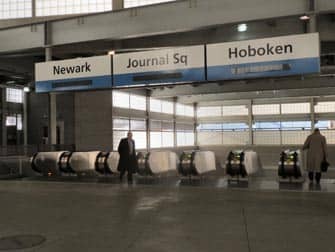 It’s a good means of transport when you need to travel from Manhattan to Hoboken, Downtown Jersey City or Newark Train station. Click here for details of the PATH routes. 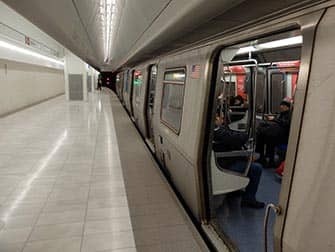 Please note: In 2019 and 2020, the PATH train’s World Trade Center Station will be closed on weekends (excluding major holidays). Service to World Trade Center will terminate at the Exchange Place Station. A PATH single ride costs $2.75. 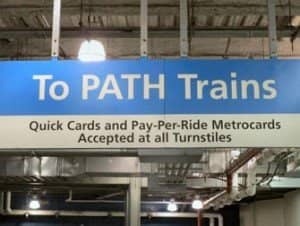 If you have a MetroCard (the same card that you use for the subway in Manhattan) with credit, you can use the PATH system. If you don’t have a MetroCard, you can purchase a MetroCard at any PATH vending machine or at any New York City Transit vending machine. 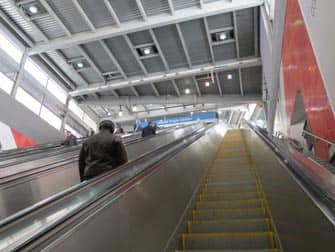 There are multiple card options, like a 7-day PATH unlimited card and a 10-ride PATH card: both cards can save you money if you intend to use the PATH often during your stay. Children under 5 years of age travel for free. Note: PATH does not accept the Unlimited MetroCard. The PATH card you receive can also be used for the New York subway. If you use the PATH first and then change to the subway, this will be calculated as two separate rides. So you’ll have to check out from the PATH and check in again at the subway. The same goes for first using the subway and then changing to the PATH.